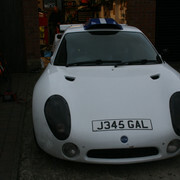 Hi I am a new gtm libra owner having acquired my car three weeks ago. I am going to be sending off my club registration in the week. 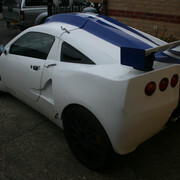 Having taken the car for a decent shakedown after trailering it home I have found a few issues that I need to rectify some more serious than others , so I will probally be driving you guys nuts with questions and reading as many of the threads for ideas to modify my gtm for more of a track focus and a possible engine conversion in the future. Any help you guys can give me along the way will be massively appreciated. Where are you located? The name might suggest Scotland but maybe your name is Scott! Yes - pics please! Someone might know the history of your car! Happy to share suggestions - you tell us what the issue is and we'll do our best. Engine conversion - what from:to are you thinking about? bellow are a couple of pictures of my car. i intend to use the car mainly for rwyb weekends at santa pod, car shows and some summer fun.